Akhil From Hounslow: Not Bad For Passionless Supporters Hay Samir? Not Bad For Passionless Supporters Hay Samir? 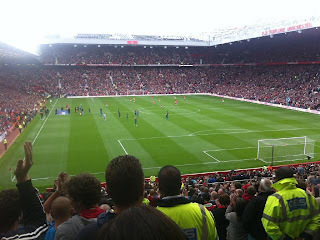 There was not much to get excited about on Sunday but the performance of the game from an Arsenal point of view was undoubtedly the away fans who didn’t give in from around the 47th minute until the final whistle; choruses of we love you Arsenal could be heard by the 70,000 inside Old Trafford and millions watching on TV. You would think conceding eight goals would result in people leaving early however that was not the case as the majority of the away section stayed and sung until the end. Goal scorers Robin Van Persie and Theo Walcott came over to the away support and showed their appreciation at the wonderful support. This was a day that will be deleted from the memory of most Arsenal supporters but the ones in the away section can be proud of the support they provided and certainly enhanced the reputation as one of the best away support in the country. Theo Walcott and Carl Jenkinson had a bit of an argument on the pitch during the first half and I see no problem in that. It shows both of them care. It would be much more shocking if they didn’t do anything and just ignored it. Theo in particular gets a lot of stick (on twitter and at games) but this season he scored home and away in the Champions League qualifier and scored the first goal of our Premiership season too. If he stays free of injuries, I expect him to have his best goal scoring season yet. With the news that Arsenal are to practically refund away supporters, my reaction is that it may have just hit home how damaging a day it was yesterday. I did not expect a refund as it was my choice to purchase a match ticket and despite the loss I have no plans to sell my Blackburn away ticket. 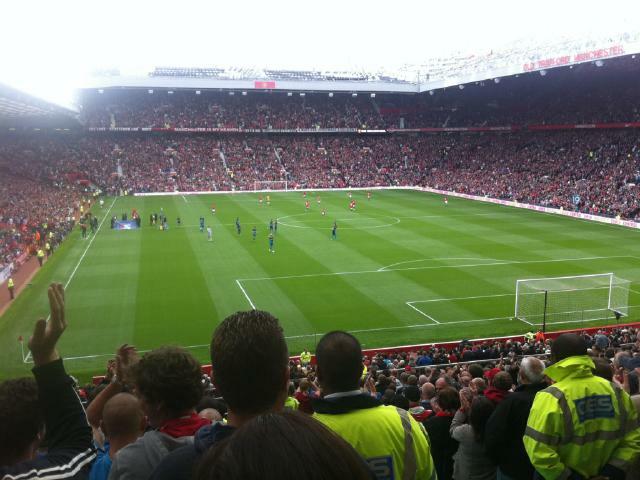 Football is like an addiction, I cannot keep away and will always try and go to as many games as I can afford. It is a good touch from the club however, as it may have just hit home how hard this month has been for supporters. As for transfers, I tend to keep quiet and try not to judge players before they come. When it comes to offensive players, I will never judge a player before I have seen them play for Arsenal in about 10-15 games because the past tells me, that Mr Wenger knows what to look for in offensive players and his record speaks for itself. Defensively, it is hard not to judge but the rumours of Mertesacker do not surprise me. We are a team that conceded many goals from set pieces and the talk of a 6.6 German international who is a leader coming in is not something I am against. I fully believe CBs play in pairs (well that goes without saying) and the two should compliment each other. Along side Vermaelen, Koscielny looks a superb player but along side Djourou, the pair looks a bit suspect, so partnerships are vital when playing at the back. We all know it is a big two days for Arsenal but the club do seem to be moving! As the club has been battered all round recently it needs our support more than ever, I feel like I am part of the Arsenal family and like my own family will support them through thick and thin.